The Savior models are amongst my favourite of the Kingdom Death line. Depicting a Savior during various ages of her life. 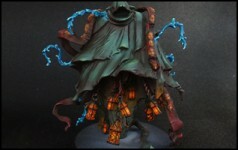 A Kingdom Death model that we don’t see so often. “In the heart of the forest dwells a delicate gardener who appreciates solitude over all things.” He’s the Flower Knight – By Kingdom Death. The Variant line from Kingdom Death feature classic Kingdom Death miniatures, but in a less clothed way. It’s a fine line between the Pinups line and this one, but the difference is still there ! Feels like it’s been a while since we posted anything not-Kingdom-Death-related. 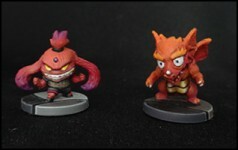 Here is for a strong change of tone, PETS for Arcadia Quest ! 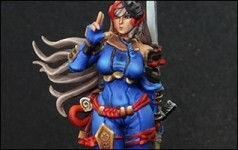 A sneaky Ninja that made a brief and unexpected appearance during a Black Friday sale from Kingdom Death. Always a fun time painting Kingdom Death stuff going outside the usual style of the world.